The results of Travel + Leisure’s annual WORLD’S BEST survey are in, and The Inn at Hastings Park has been awarded distinction as one of the Top 10 Resort Hotels in the Northeast (ranking #6) and the Top 100 Hotels in the World (ranking #96). 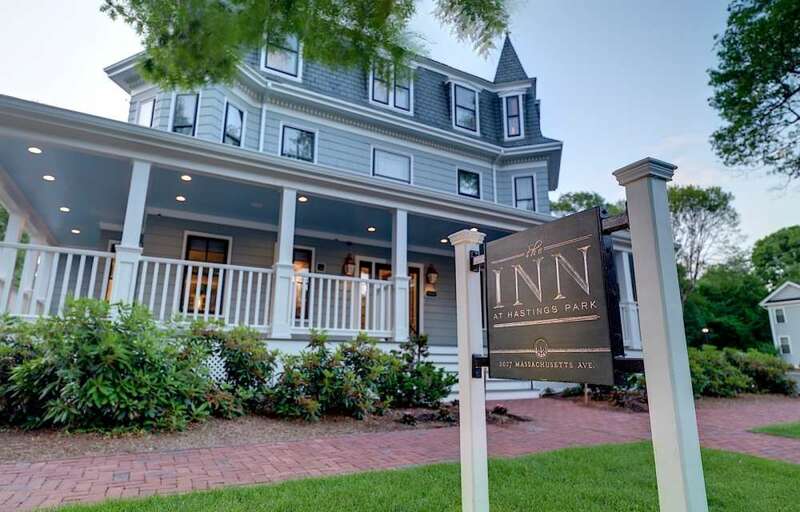 On both lists, The Inn at Hastings Park is the only winner from the Boston area. The WORLD’S BEST is an annual travel awards program run by Travel + Leisure Magazine, tabulated through results from an annual readers’ survey. Readers can rate vacation destinations spanning from large cities to remote islands, spas, hotels, hotel brands, tour operators, and safari outfitters. The Inn at Hastings Park opened in the winter of 2013. The 22 room-boutique hotel is located steps from the Battle Green—the site of the first battle of the American Revolutionary War— in historic Lexington, MA. In its first year, The Inn was welcomed into the elite global hospitality association, Relais & Châteaux. The Inn is the only Relais & Châteaux hotel in the Boston area.